"Eve, a runaway, finds a new job at a coffee shop on the outskirts of Tuscon. When she’s approached by two wealthy teens who claim she bears an uncanny resemblance to their missing cousin Aurora, her life takes a turn for the dark and mysterious. Drawn into a scheme to win Aurora’s inheritance, Eve finds herself impersonating the girl, who disappeared three years ago on the night her best friend Elizabeth died. 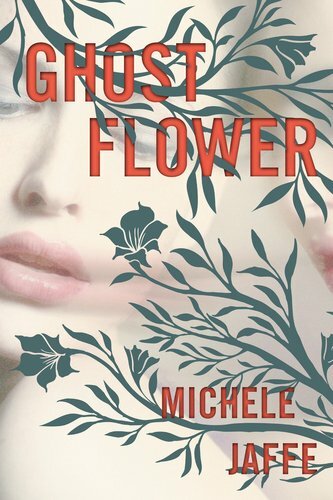 But when Liza’s ghost begins to haunt Eve, doing harm to the people close to her under the guise of “protecting” her, Eve finds herself in a nightmare maze of lies and deception that leads her to question even her own identity. She realizes her only chance is to uncover the truth about what happened the night Liza died, and to find Liza’s killer— before she’s next." Sounds pretty mysterious/scary, right? Unfortunately, this one won't be available until April 12th, 2012, but I'm defintitely keeping it on my radar! And if you haven't already, you should defintiely check out Rosebush! Another excellent thriller! Wow! I've never heard of a book like this before-- to bad it comes out next year! 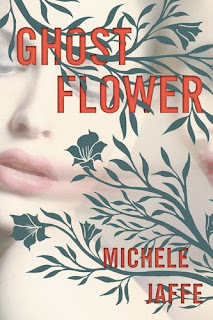 In the meantime, I'll definitely have to check out Michele Jaffe's other books.